You can now view or download PDFs of the GA Program Book and the Final Business Agenda. The Program has a very useful Program Guide by Topic that will help you plan your personal GA schedule. 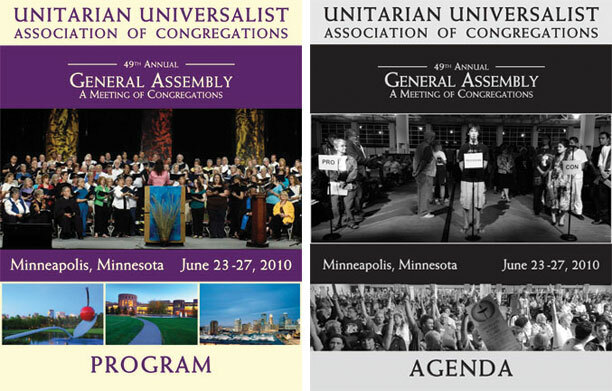 There are a few items added by the UUA Board on the Agenda that were not included in the Tentative Agenda. One item is a proposed Business Resolution in response to the Arizona Immigration Law. 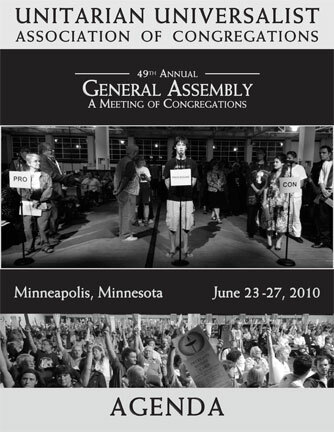 If passed it would direct the GA Planning Committee to recommend to the UUA Board an alternate location for the 2012 GA outside of Arizona. A two-thirds majority vote is required to pass the resolution. Coverage on UUWorld.org.